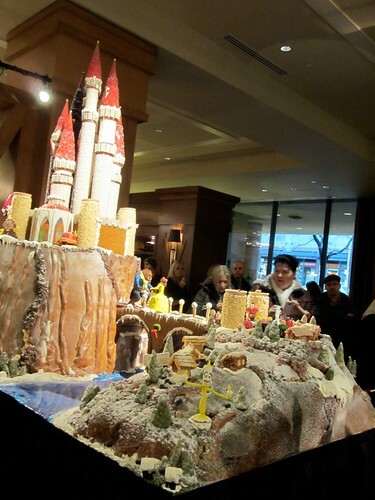 One of the things we do every year is pop down to the Sheraton hotel in downtown Seattle and check out the gingerbread houses. They’re always huge, beautiful, and intricately done. Anyway, this year had a Disney theme. 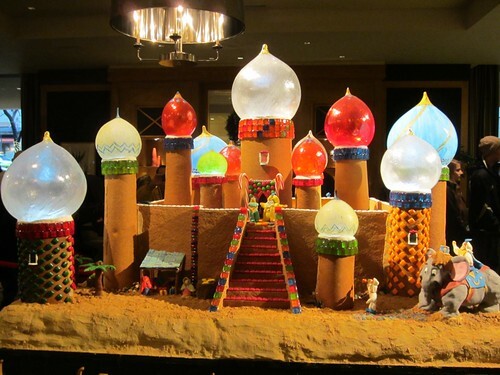 Here’s Beauty & The Beast and remember, everything you can see (but the lights) is edible. I have a bunch of detail shots on Flickr but the closeup of the candle guy didn’t come out. Those domes are gorgeous and look as delicate as cotton candy. Over at the set I have a closeup of the elephant and the genie. 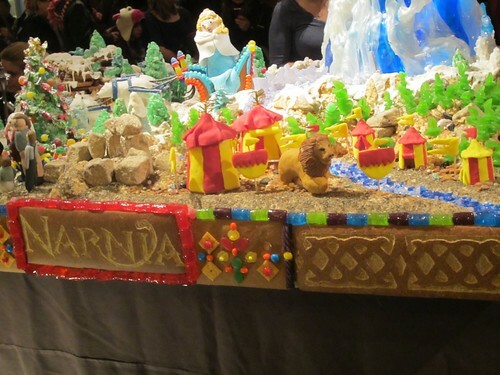 Here’s a detail of Aslan and the White Witch in her sleigh pulled by polar bears. See more at the set.